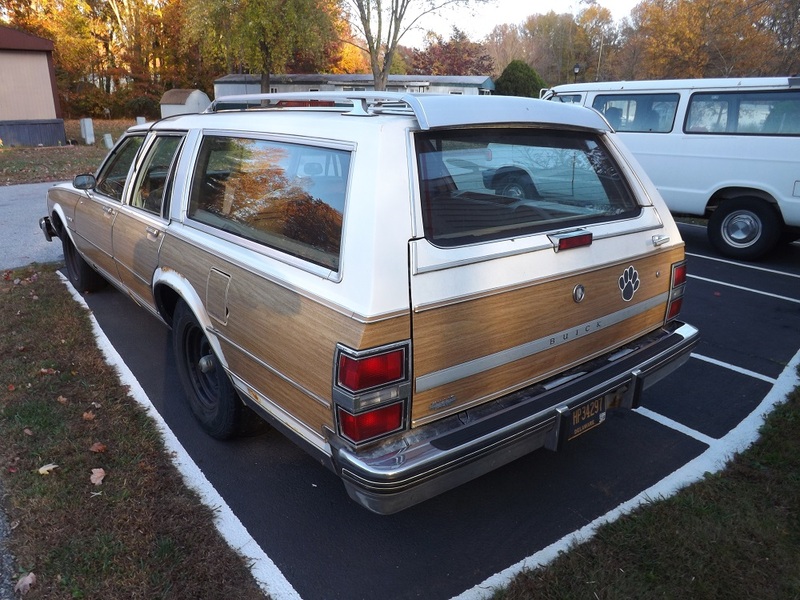 Chevy Impala Forums > Vehicle-Specific B-Body Discussion > Wagon Discussion > Is Buick Estate Wagon Same Suspension As Caprice Wagon??? Is Buick Estate Wagon Same Suspension As Caprice Wagon??? 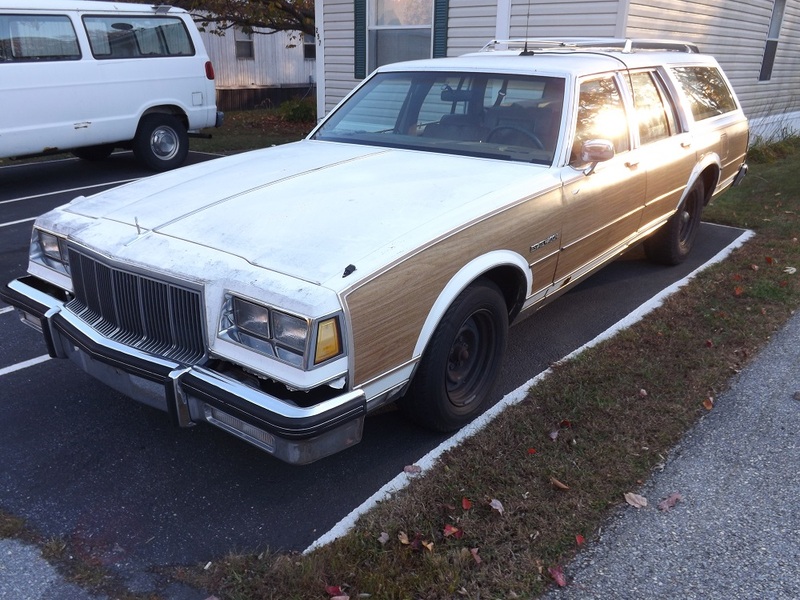 I'm trying to decide whether to sell or fix up our 1990 Buick Estate Wagon (comes up under LeSabre Estate Wagon in most online parts searches) and I have some questions I was hoping you guys could help with Please??? ... Wouldn't I be able to use the same Headers & Other parts to swap a 454 Big Block Chevy into the Buick Wagon that would be used to swap the same 454 into the Caprice Wagon??? 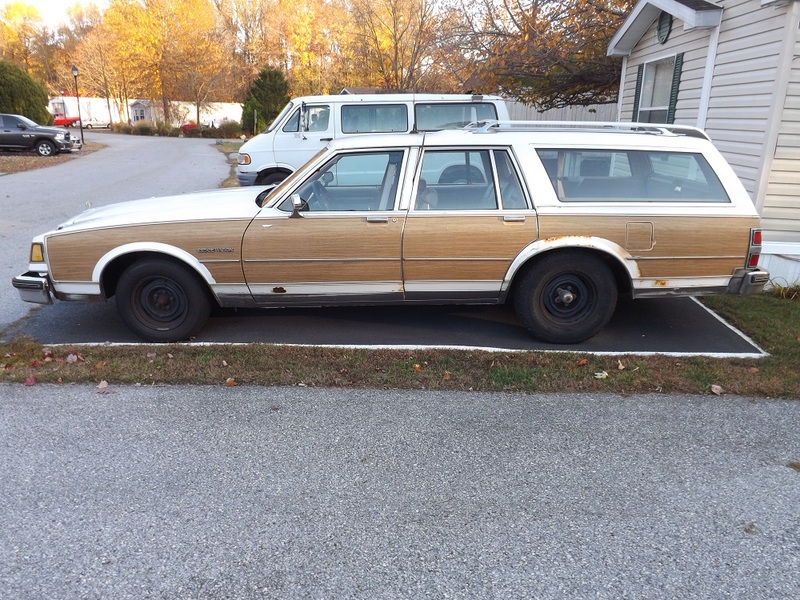 Second: Does the Suspension on the 1980 to 1990 Buick Estate Wagon use the same parts/part numbers & components as the 1978 to 1990 Caprice Wagons??? Third: Can Any Of You Recommend What Rear Axle to use that I can set up with roughly a 3.90 to 4.11 Posi for this thing??? (Currently has a 10 Bolt Rear and the Rear Cover measures about 9 1/2" across). ... and my understanding is this is the same for the Caprice or Caprice Wagon??? Thank You for Any & All Help with this!!! Yeah that is a Caprice wagon for most practical purposes. Why the BBC wish? They are heavy, expensive, often as not people endup disappointed, unless pure racecar. I am a gearhead, built a 11 second LT1 Caprice sedan that saw over 8k Miles a year, but have no love for the BBC, overdone and underperforms in most applications. You put a cam and headers in a mid 2000s 6.0l from a 3/4ton truck and it will make more HP for less money with less weight and coupled with a 4L60E drive so much better. The axle you have should be a late 8.5" 10bolt which is as strong as a old 12-bolt, rebuild it. Far as suspension, 94-96 Impala parts should work, that was just a trim package on a Caprice. The rear wagon springs are a little unique but I believe the sedan stuff can be wedged in the free height is just taller. Later wagon rear swaybars are unique though due to width not sure about the 1990. I would probably adjust the rear springs with Airlift bags installed in them so you can level the rear on launch. Rear lower control arms upgrades on these like the UMI ones are a HUGE upgrade. Bushings on a car that old are shot expect to replace them all. My 96 Caprice is heavily modified and I daily drove 94-96 wagons for years in addition, that platform saw few suspension changes from 78-96 so I can probably help with that stuff. Far as the the BBC if set on that I will drop it and not make other suggestions, just that most of the time when people want it it is due to unrealistic expectations and lack of understanding of what other options can offer. If I had a BBC in the garage I would flip it to fund a clean later model junkyard pull engine to modify, but this isn't my car. Old Man Wolf likes this. Thank You for your tips and advice here! ... and I just always loved the "big torque" with them - Especially with a little more compression, cam, headers & duals!!! Also have to admit I'm awfully tempted to try a 454 now with all the big-inch stroker kits on the market too. However, after a quick look around at what folks are asking for core/re-buildable 454's on the internet so far - I may take a little time and try to study the 6.0's you mentioned, even if just for fair comparison!!! ... but rather hoping to let the front down a little and was hoping to find 2" lowering spindles to accomplish this. ... so also hoping to find some stiffer spring rate springs & sway bars for it as well!!! Thank You also for the tip on the lower control arms - I'll see if I can find them and hopefully someone makes polyurethane bushing kits to fit it as well. May I ask what coil springs you'd suggest to firm up the ride some more as well??? ... but I won't bore you with details like that unless I start a build thread for the car??? Thanks Again & Talk Soon! Lower Control Arms : UMI Performance, Inc. I would not get carried away with poly, you have 30yo rubber, new rubber will firm things up a lot without the harshness and squeaks certainly going to use some poly I just would not go wild. Poly on the front swaybar will help a lot, front arms could certainly use new bushings and I would go something like Moog rubber on those. Body bushings are going to be shot and options to replace them hard to come up with other than poly. Far as airlift bags, if sized right they do not jack up the rear, they can simply stiffen and you can plumb them separate so you can put more pressure in the passenger side to keep it level at launch. On springs, like I said the 94-96 Impala SS is the same basic chassis, there are spring choices and they will be stiffer since the 91-96 cars gained weight with the ABS, airbags, electronics. Just remember the Impala sat lower to start so a 2" lowering spring for it will likely lower your car more. I would start with springs rather than spindles because there is a larger selection of new lowering spring than standard height springs, and right now you have 30yo worn out mushy springs. If you liked the springs you had and wanted lower, then spindles would be perfect. On the late model engines some areas they are cheap, others not so much, think it is a combination of if there is a supply of rotten out trucks vs. hotrodders looking for the engines. Couple years ago I bought a complete 3/4ton 6.0l and a "Escalade 6.0l" shortblock for $1200 with wiring and computer. The Escalade motor came with flat top pistons and higher octane tuning for a few extra HP but was same cam and heads, intake etc. and typically throw a cam and valvespring in these and they are good to go, no costly rebuild. The computer will control a 4L60E which comes with a 3.06 first gear, then with torque converter lockup you can run 3200stall on a daily driver, and with overdrive almost anyone is OK with 3.73s, and many are even OK with 4.10s. That all adds up to a lot of torque at the tire. typical "musclecar" TH400 is a 2.48 first gear and without lockup and OD you are going to stay modest on stall and gear. The new stuff is so potent the 2007 and up 5.3l basic truck engines have heads that flow as well as well as the old basic BBC heads did, with aluminum heads and plastic intakes they are pretty light too. Also understand HP rating system has undergone some changes since the 70s with a few updates that if applied to the old school motors would seriously depress advertised numbers. Thank You Very Much Dwayne!!! That gives me plenty to start doing my homework and to start looking for parts! ... then if it's still here when I start getting alot of overtime when spring weather gets here - I'll start collecting parts to redo the car at that point! ... so I'm pretty convinced if we build the car I'm going to have him chp the top a couple inches and fill in the back windows like a panel or sedan delivery! ... but someone Did come buy the car yesterday so I won't be building it after all!!! Just means I can start looking for a 1967 or older dream car after all!!! Find a western car, an acquaintance bought a 60s Impala from Vegas and was able to take the whole nose off the car with 1/4" drive ratchet without breaking a single bolt.